Each Piece in poly bag, bundles in carton box. shrink film or customized packing also provided. Powder Coating bronze. Champagne, gold, silver, black, white or customized color also provided. Powder coating. Mill finish, anodized, polish, brushed, sand-blasting, wood grain, or matt also provided. 1. 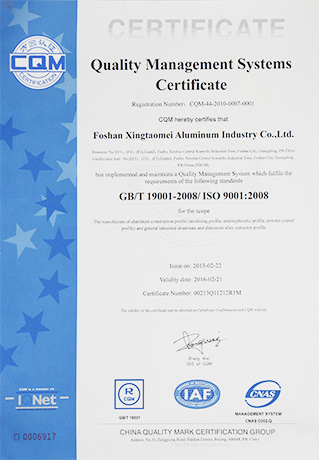 Foshan Xingtaomei Aluminum Industry Co., Ltd originated from Dali Town ,an Aluminum Industrial base of China since 1996. 2. At present the company owns 8 extrusion lines with different capacity of 1,200 tons, 1,000 tons, 800 tons and 600 tons, some anodizing lines, powder coating lines and machining lines. Our annual output is around 20,000 tons of high quality aluminum products. 3. There are nearly 400 experienced employees in our factory. 4. 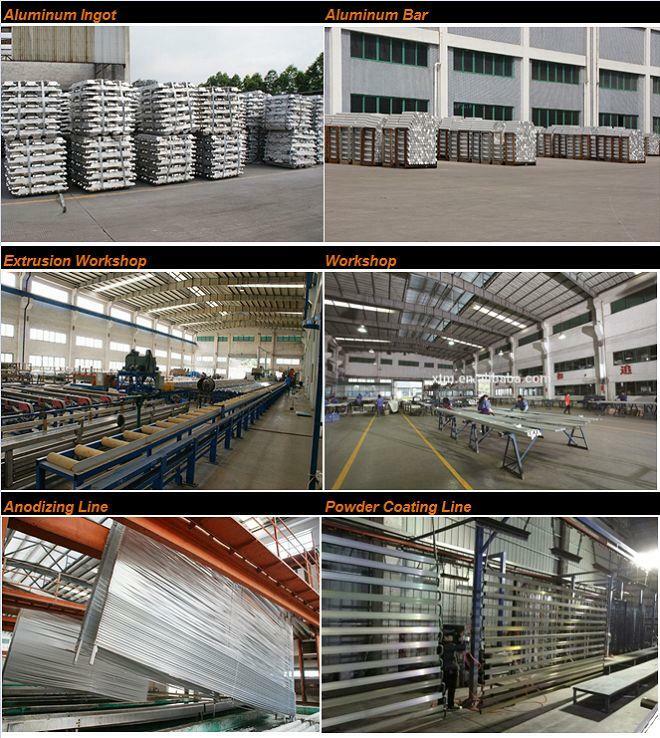 XTM Aluminum mainly produces industrial profiles like aluminum tile trims, floor trims, edges, transitions, strips, partitions, sections, pipes, tubes, etc. They are applicable for stairs, floors, corners, kitchens, bathrooms, wardrobes, furniture, lamps, cabinets, screens, etc. We sell our products all over the word, such as Russia, Australia, USA, Germany, Mexico, Sweden, India and so on. We supply poly bag, shrink film, carton box or customized package as you required and we send shipment to our customer by express or by air, by sea. Our products have good quality and we pass the ISO Certification. 1.Business process: Inquiry ----> Drawing ----> Mould Confirmation ----> Sample Confirmation ----> Placing Order ----> Delivery. 2.Product quality control and delivery time is strictly controlled. 3.Direct manufacturing factory offering competitive price. 4. OEM & ODM service are available. Q1:What are the order procedures as a new customer? A1:First,check out product list to see if there are any models that suit your interests. If you can not find suitable products from our product list, send us you drawings or samples, together with color & finish requirements, quantities, packing details if there are any, etc. and we will evaluate and make the quotation. Second, if mould quotations are ok we will send you the PI for you to arrange payment. Third, upon receipt of payment we will arrange opening of new mould. Fourth, when the mould is done we will produce some samples which will be sent to you for confirmation. Fifth, once the samples are confirmed, you can send us your Purchasing Order. Sixth, we will quote according to the ingot price and exchange rate of the day when receiving your PO. Seventh, when quotation is approved, we will send you PI for you to arrange payment. Eighth, we will arrange production upon receipt of your payment. Q2:Do you have MOQ requirements? A2:Yes. It depends on the models you order and our stock situations. Generally the MOQ is 200KG per model/color. If you open a new mould/die, the first three trial orders will have NO MOQ requirements. That is, you can order as few as you like for the first three trial orders. Q3:If I want to do OEM, is it possible? A3:Sure. But you may have to open a new mould/die. There will be some mould charges. Please send us you drawings or samples for evaluation. For other colors and finish, please send us samples for evaluation. Q4: Can you provide accessories for installing tile trims, floor trims ,etc? A4:Yes,we can provide accessories like corner pieces/end cap, screws, etc. Please inquire our sales representatives.